Whilst they slept and watched Disney Channel, I whipped up some muffins. The recipe said it made 12, but we ended up with 20, and they were scrum-diddly-umptious!! Chocolate and Banana – match made in heaven! – Preheat oven to 180°C. Prepare your muffin tin. – Sift flour and baking powder, then mix in sugar. Make a well in the centre. – Combine beaten eggs, milk, butter, banana and chocolate chips to the flour mixture and mix thoroughly. – Spoon mixture evenly into muffin tins, and bake for 20-25 or until golden brown. These are amazing fresh out of the oven. 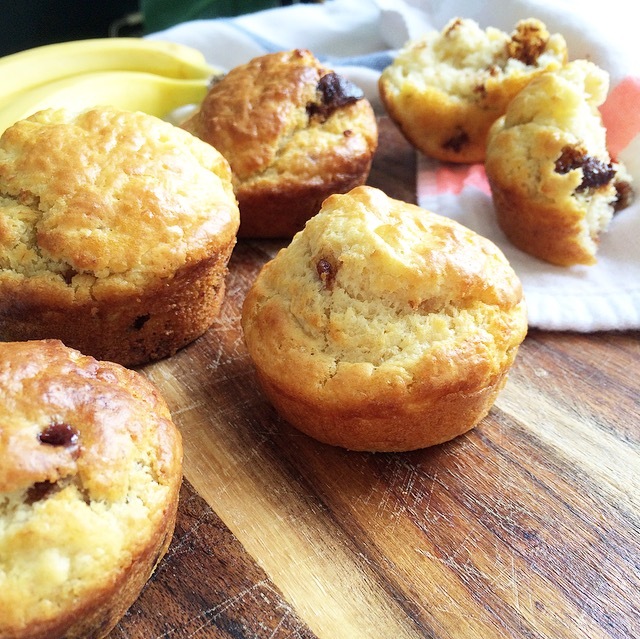 Warm banana and gooey chocolate…heaven! Don’t curse me when you realise you’ve suddenly eaten 7…because it will happen….